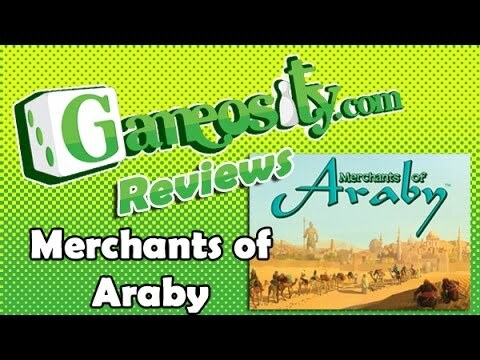 Merchants of Araby társasjáték - Magyarország társasjáték keresője! A társasjáték érték! A Merchants of Araby egy kiváló társasjáték, 2 - 5 játékos részére, az átlagos játékidő 45 - 90 perc. A társast, 8 éves kortól ajánljuk kipróbálni. A játékmenet erősen épít a kereskedés, a váltakozó képességek, a pakli tervezés és az akció kijátszás mechanizmusokra. 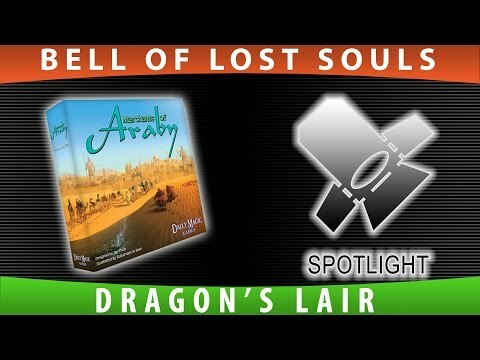 Become the wealthiest merchant prince or princess in all of Araby by establishing an entourage of merchants and allies, teaching virtues, summoning djinni, negotiating frequently, and making successful caravan investments. Be the player with the most coins at the end of the game. During your turn perform actions such as playing cards, tasking merchants, Starting a caravan, and negotiating with your opponents. These Actions may be taken multiple times and in any order you choose. Products are usually generated by tasking Merchants in your entourage. Magical Djinn cards may be played on any turn. The Ally cards in your entourage assit your Merchants in a variety of ways. Virtue cards activate immediately for an instant bonus to you and often to an opponent of your choosing. Caravan cards are the primary source of earning coins and negotiation in the game. 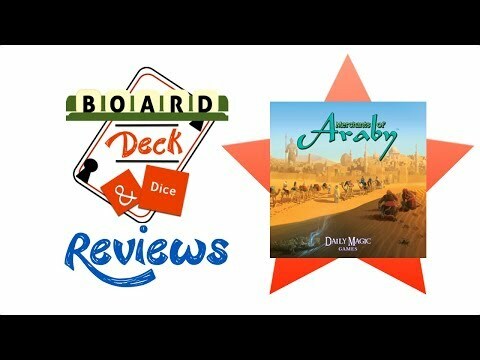 The main revenue generating devices in the game are the caravan cards, each representing a journey to a distant city in Araby to sell valuable products. Player participation, bandits, and market fluctuations will affect each caravan’s payout. Each product space on the caravan card may hold one camel token which represents a particular product generated specifically for the caravan. 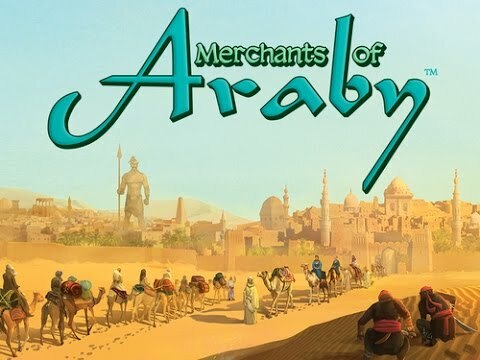 Add camels to caravans by tasking merchants, playing a djinn card, or negotiate with another player to generate a product for you by tasking their merchant or djinn. An opponent may not add a camel to your caravan without negotiating for your permission. When your turn ends, your caravan becomes locked to you and you may not add more of your camels to it unless the active player grants you permission to do so through some negotiation. Your caravan is never locked to opponents wishing to place camels on it, but they always have to negotiate for your permission to do so. Your caravans depart at the start of your next turn. When they do, watch out for bandits out to steal your goods! Bandits favor the most choice products so the more lucrative your camel placement, the more likely it will be hit by bandits. Simply stated, everything is negotiable for everything. Players may trade gold for camel placement, cards for products, actions for promised actions, camel placement for ally tasking, cards from entourage to entourage, cards from hand to hand, something for nothing. The list is nearly endless. If you can strike a deal with another player for any game resource or action, then feel free to do so. Your entourage is refreshed at the beginning and the end of each of your turns so that you have the option of tasking them on other player turns. The game ends after the fourth round as each round represents one season of a year. The player with the most total coins is declared the winner! 1 Djinn "Tribute" Card - Kickstarter Promo Card Text Each Opponent gives you one card or one coin.